Cheap Transmission Rebuild Kits & Free Shipping! Free Shipping on All Orders over $75 at AdvanceAutoParts.com! Save $$ With Our Special Transmission Parts Deals! 700R4 4L60E 4L65E 4L70E GM Automatic Transmission High Performance 2-4 HD Corvette Servo Assembly. With COVER and Completely Remanufactured. 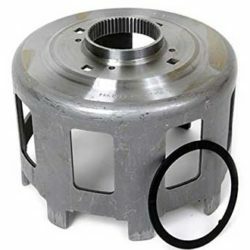 Must have heavy duty upgrade for your 700R4 4L60E 4L65E transmission rebuild. Sun Gear Shell for 4L60 4L60E 4L65E TH700-R4 1982 and Up Applications. Alto 4L60E Transmission Rebuild Kit Heavy Duty Master Kit with 3-4 Power-pack. This Kit Fits All 1997-2003 GM 4L60E transmissions. Derale 14208 Transmission Cooling Pan for Ford E4OD, 4R100, 5R110 and 5R110W Transmissions. Includes much stronger magnetic drain plug and rubber/steel reusable washer and a 1/8″ NPT temperature sender bung. 915A550 Eaton Detroit Truetrac 10.5″ 35 Spline Differential for 1985-2012 Ford Truck. Brand New 50mm Crankshaft Crank Pulley Wrench Holder Tool for Honda and Acura by BETOOLL. Professional grade 50mm socket (with offset design) for removing/installing many Acura and Honda engine crank bolts. Kit Includes: AISIN Water Pump, AISIN Hydraulic Tensioner, Idler Bearing, Tensioner Bearing and Timing Belt. This part generally fits Acura, Honda, Saturn vehicles. 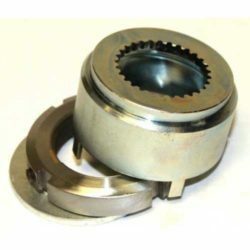 Assault Racing Products GM Chevy GMC 4L60 4L60E 700R4 Transmission Torque Converter, 30 Spline, Lock-Up, Stock Stall. 1982-1998 Chevy GMC, Pontiac cars, light trucks, and vans with the 3.8L, 4.3L, 4.4L, 5.0L, and 5.7L engines. Dodge NV4500 5 Speed 4X4 Transmission Upgrade 5TH Gear With Lock Nut Retainer and Nut.